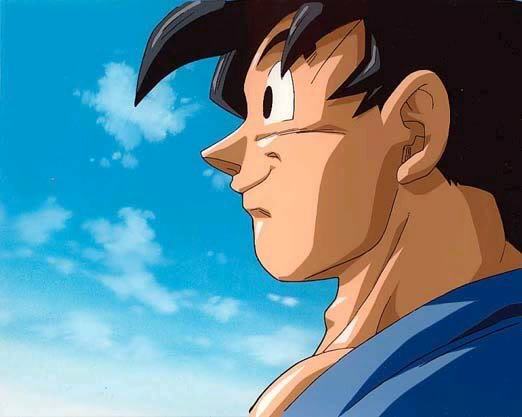 At the end of the last episode in Dragon Ball GT, before we see Goku Jr. fighting Vegeta Jr. at the martial arts tournament, we see Goku going for a ride with the dragon, bidding farewell to all of his friends and after he does so, the Dragon Balls merge with his body. Does this mean he becomes the dragon itself/gains its powers? Goku did not become the dragon. Grandma Pan saw a glimpse of him watching the fight between Goku Jr. and Vegeta Jr. When Pan tried to reach out him, he was gone. So even the voice actors had no clear indication of what the ending truly meant. No. At Goku finishes fighting, he says, "Shenlong's back sure is warm..."
That means he was riding on Shenlong's back, not becoming Shenlong. Also, in History of Goku Jr (this is going too far), Goku's ghost appears. He is not a dragon. I suppose he went to train with the gods.